Brentwood Town Centre is a mall near me in Burnaby. 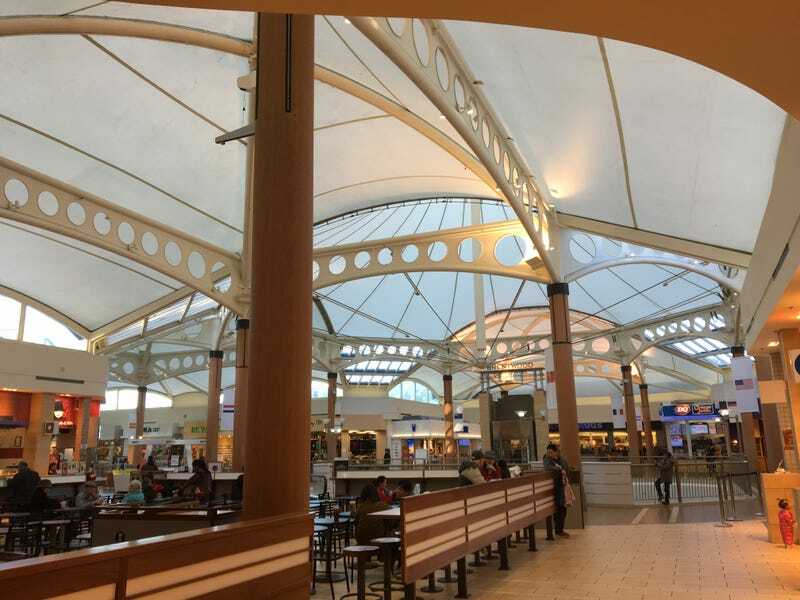 It’s always been the saddest mall when it comes to the selection of stores, but it does have the most interesting roof. It’s currently undergoing some drastic changes. Part of the building was demolished, and the mall is being massively expanded and updated, and three apartment towers are being built, with plans for 9 or so more. But, the plans still show the current roof, so it’s unique enough that the developer wants to keep it.